Why do you use different tools? Watch them use these tools and correct them during training. Is there improvement? How high do you swing a mattock? Why do you not shovel behind you? How full should a bucket or wheelbarrow be filled? Name 3 types of formations. What would make you think the process was natural rather than man made? Why is understanding the taphonomic pathway important? Explain how site formation processes can create “missing” phases. What is the difference between stratigraphic and level spits? Create a simple section drawing with a pit and get them to describe the stratigraphy. Can they create a simple Harris Matrix? Ask the individual to describe a soil or a cut. Ask the individual to discuss the context. How would they deal with sunny weather and deep shadow? – Why is that bad? Why is direction important? What is required on a record sheet? What is the diagonal of a 1m, 5m and 10m grid? Ask what a local grid is and how it can be related to real coordinates. How do you find out the height of the Instrument? Take at least 5 foresight measurements then reduce the levels. Ask if notes around a drawing are useful and if so … why? Look at a sample drawing – are the lines confident or short and sketchy. Look at a sample section drawing – are the lines confident or short and sketchy and are they angular – with a join the dots look?. How do you set up a section line? How would you label a sample? What may prompt a sample? What is a small find? What must be recorded on every finds tray? How would you store – wet leather – Iron – large quantities of pottery? Do you know about risk assessments? Whose duty is site safety? Do you know who the trained first aider is? What do you do if there is a reportable accident? 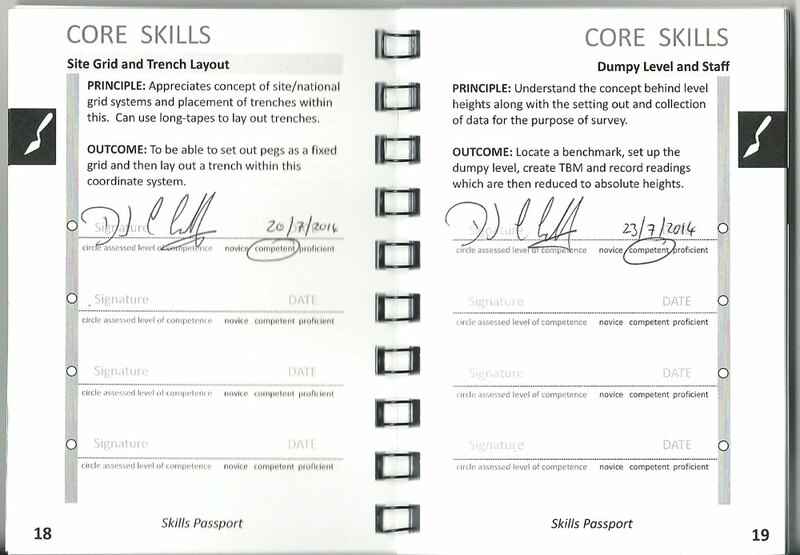 Are you aware of the basics behind manual survey? What is the difference between a local grid and a national grid? What does (pick the type you are using) detect? What is the strength of this type? How would you start a geophysical survey? What information do you need BEFORE going out on Survey. What basic Equipment would you take? When locating a site what is the procedure for recording? What equipment is required on a fieldwalk? What will a fieldwalk show? What types of processing can you carry out on site? What material may you recover? What can be done with this material? What should you wash and what should you not wash? Talk about general sorting of finds. Where can you find sources of data? What is the standard file format? What is a digital archive? 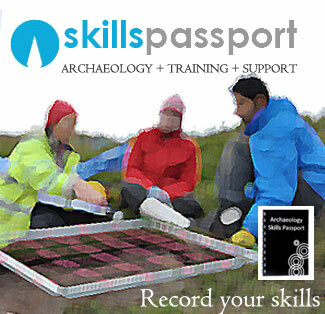 Watch and access a skeletal excavation and lift – including drawing and record. Make sure they are aware of damage to bones. What general order should you create a report in? What is the difference in language between an article and a report? Who should be credited in any document? Set an example artefact and ask them to draw the item. Discuss the need for complementing text. Ask them a typical question (related to where you are) and gauge their response. (should be short, informative and imaginative – OR they should admit to not knowing and will find out. What is the main heritage legislation for your country? Provide an example case involving a scheduled monument or a listed building – and ask how they would act or where they would go to ask for details. Do they understand how other legislation (employment and H&S) impacts on archaeology?